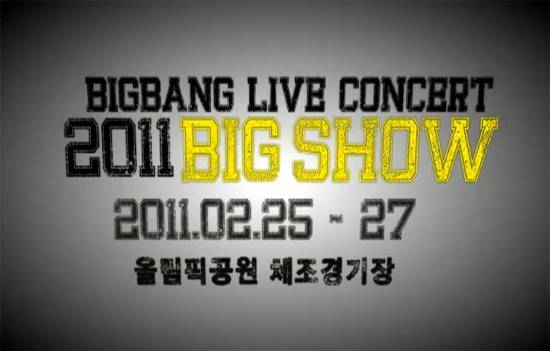 Big Bang has been holding their annual brand concert, “Big Show,” every January since 2008, but for this year they’re planning to hold it in February so that it could coincide with the group’s comeback. The boys finally released a teaser video for the three-day concert, to build anticipation for its opening show on February 25th at the Olympic Athletics Stadium. The concert itself has been widely popuar with both fans and industry representatives alike, as it always featured the best possible performances. This entry was posted on January 6, 2011 by heedina. It was filed under Boy Band, Concert/Show, News, teaser, Videos and was tagged with big bang.